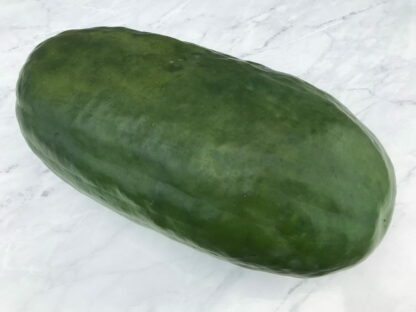 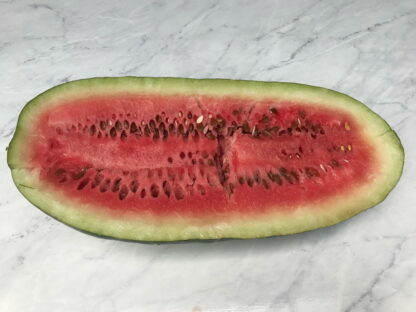 This is a very rare heirloom watermelon from Ireniwaki Confederation. 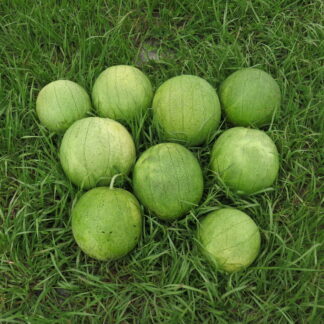 Seeds for this variety were originally donated to USDA by a Native American man named John K. White in 1999, shortly before he passed away and he could have provided in-depth historical information about the watermelon. According to the USDA narrative, “The earliest explorers mentioned the different varieties of watermelon the Ireniwaki were growing. 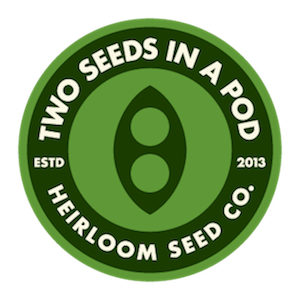 One said the best were those with red seeds.” Our foundation seed stock came from James Troudt, an SSE member. 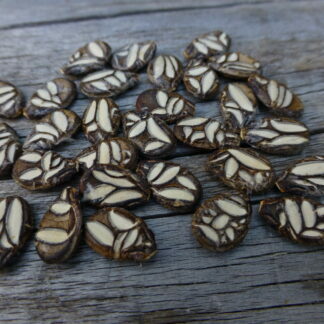 Part of James’ seeds came from Teakiki River Traders who had received their seeds from John K. White as well. 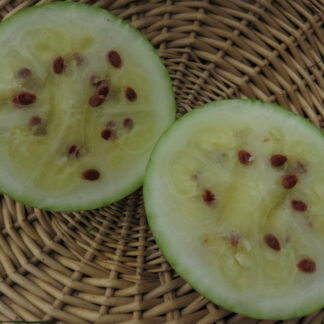 Ireniwaki Red-seeded has red flesh and dark green rind. 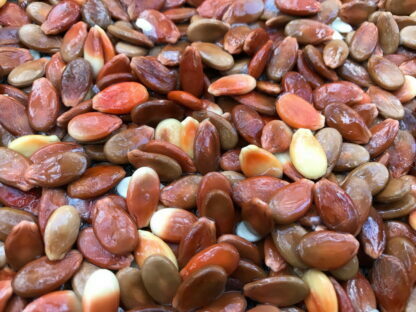 While many seeds are reddish burgundy, some have olive color to them and few seeds have lighter colors. 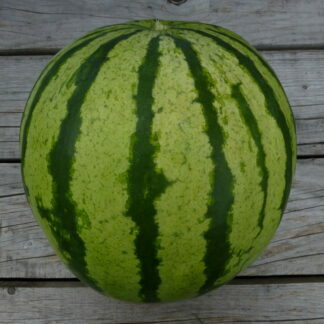 Fruits weigh 10-15 pounds and are absolutely very sweet and delicious. 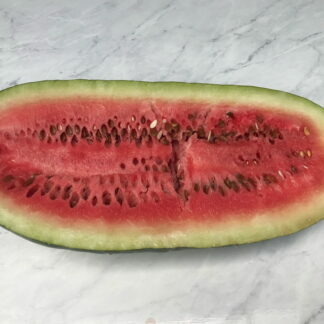 Flesh is crunchy and juicy. It is hard to find heirloom watermelons from Midwest region and we believe that this mid-season variety will get a loyal following in near future, especially from short-season growers. This listing was provided for documentation purposes, and Ireniwaki Red-seeded is commercially not available from our seed store.